Patrick Comerford: Prince Milo of Montenegro: why is he buried in Limerick at Saint Mary’s Cathedral? 1.15 p.m., Tuesday 20 March 2018. In Saint Mary’s Cathedral, Limerick, we have one of the most unusual graves in any churchyard in Ireland. This grave, with its simple headstone is of Prince Milo of Montenegro. It faces the great west door of the cathedral, and lies beside the boundary wall, looking out onto the banks of the River Shannon. But residents of Limerick and visitors share the same bewilderment, often asking who was Prince Milo, where is Montenegro, how did he end up in Ireland, and why is he buried at Saint Mary’s Cathedral. For many people in Ireland, it may be difficult for people to tell apart Montenegro, Macedonia, Moldavia and Moldova. Indeed, this was a problem for Donald Trump at a summit last year, and these geographical challenges allowed a conman posing as a royal pretender to hoodwink high society on the Riveria until recently. Montenegro, whose name means ‘Black Mountain,’ is a former Yugoslav republic and a sovereign state in the Balkans in south-east Europe. It has a short Adriatic coastline and it is encircled or surrounded by Croatia, Bosnia and Herzegovina, Serbia, Kosovo and Albania. The capital and largest city is Podgorica, while Cetinje is designated as the Old Royal Capital. 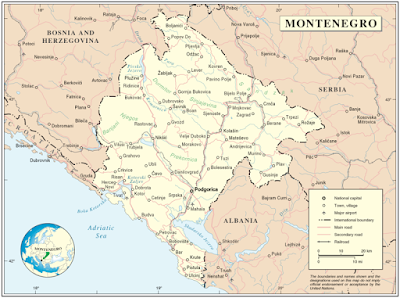 Montenegro is a member of the UN, NATO, the World Trade Organisation (WTO), the Organisation for Security and Co-operation in Europe (OSCE), the Council of Europe and the Central European Free Trade Agreement. In the ninth century, there were three mediaeval Serbian principalities in what is now Montenegro: Duklja, Travunia and Rascia. In 1042, the archon Stefan Vojislav led a revolt that resulted in the independence of Duklja from the Byzantine Empire and the establishment of the Vojislavljević dynasty. Later, large portions of what is now Montenegro were ruled by the Ottoman Empire from 1496 to 1878. But in the 16th century, Montenegro developed a unique form of autonomy within the Ottoman Empire, allowing Montenegrin clans freedom from some restrictions. Nevertheless, the Montenegrins were disgruntled with Ottoman rule, and in the 17th century, raised numerous rebellions, which culminated in the defeat of the Ottomans in the Great Turkish War at the end of the 17th century. Montenegro achieved de facto independence from the Ottoman Empire in 1711. From 1852, it was known as the Principality of Montenegro, although it only received formal international recognition as an independent principality in 1878. In 1889, Czar Alexander III said Prince Nikola of Montenegro was Russia’s ‘sole sincere and true friend’ in the Balkans. The country declared itself the Kingdom of Montenegro on 28 August 1910. At the end of World War I, the king was deposed and Montenegro was forced into the newly-formed Kingdom of Serbia and Montenegro, which later became Yugoslavia. Prince Milo Petrović-Njegoš (1889-1978) was a prince of Montenegro and a direct descendant of Radul Petrović, brother of Danilo I (1675-1735), the first Vladika or Prince-Bishop of Montenegro from 1696 to 1735. 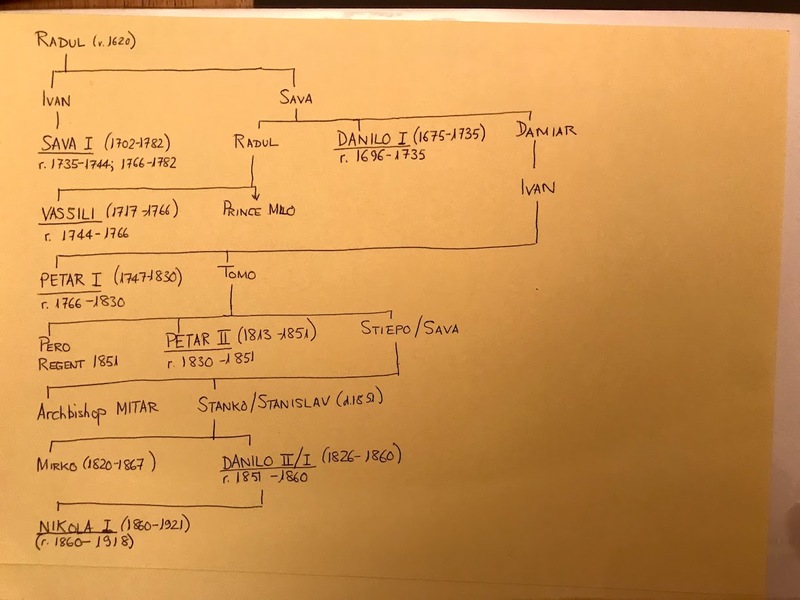 But the family tree of Montenegro’s royal family is very difficult to disentangle. The first claimants to princely status were the Bishops of Cetinje, who, as Orthodox bishops, were unmarried and passed both their episcopal and princely status from uncle to nephew, nephew to uncle, or cousin to cousin in an obscure, indeed whimsical and often capricious, line of succession, in which a bishop’s family member was chosen as his successor on the basis of favouritism rather than seniority, age, ability or even literacy. All members of the family claimed the title of prince, and the Petrović family only began to take on the trappings of other European royal families during the reign of Danilo Petrović Njegoš (1826-1860). 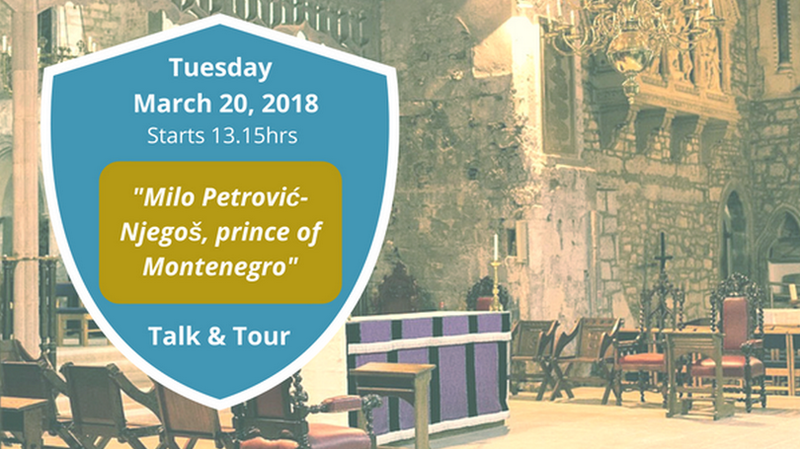 He came to office in 1851 after a dynastic power struggle, and as Danilo II, he was the Metropolitan or Prince-Bishop of Montenegro. But in 1852, he stood down as bishop, declared himself Montenegro’s hereditary monarch, and as the renumbered Danilo I reigned as Prince of Montenegro from 1851 to 1860. During his reign, Montenegro became, nominally, a secular state or a lay principality instead of a bishopric-principality. A constitution was introduced although, in fact, Danilo ruled as an absolute monarch, with all the trappings of an almost Ruritanian-style monarchy yet with the grip of a Balkan despot or tyrant. Prince Milo was never the son of a king or a reigning prince. His title of ‘Prince’ comes from being a member of this unusual family, and he was born in Njeguši on 3 October 1889, the son of Đuro Petrović and Stane-Cane Đurašković. At the age of 12, he was sent to the Military Academy in St Petersburg, Russia, where he became a personal friend of Czar Nicholas II and Czarina Alexandra, and was introduced to various Romanovs and also to Rasputin. In 1910, Prince Nikola I of Montenegro upgraded himself among the royal families of Europe by proclaiming himself the King of Montenegro. He became known as ‘the father-in-law of Europe’ because his daughters married into so many royal families: Princess Zorka married King Peter I of Yugoslavia; Princess Elena married King Victor Emmanuel III of Italy; and other daughters married into Russian and German royal and noble families, including the Romanovs and the Battenbergs. 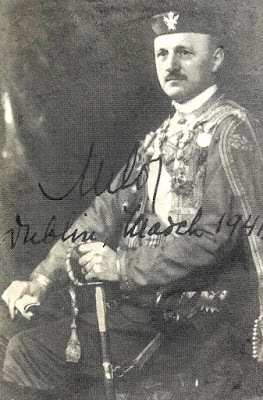 Prince Milo was a distant cousin of this extended, minor European royal family, and during World War I he was the commander of the Lovćen Brigade, leading his troops into Albania in 1916. Montenegro became a part of the Kingdom of Yugoslavia in 1918. After Montenegro was absorbed into the new Yugoslavia, Prince Milo left Montenegro in 1919, and for more than half a century he moved around the world as an exile, engaged in a diplomatic campaign to secure the restoration of the recognition of Montenegro as a sovereign, independent state. His distant cousin, King Nikola, died at Cap d’Antibes in the south of France, in 1921. Meanwhile, Milo was a wandering exile, moving from the Cote d’Azur, to Italy, Mexico, Shanghai, Beijing, and back again to Mussolini’s Fascist Italy. In Mexico, Milo was offered a home in Mexico by the Mexican dictator. In Shanghai, he befriended Sun Yat-sen, Chiang Kai-shek and Noel Coward. In Beijing, he flirted with Wallis Simpson, and they remained lifelong friends. 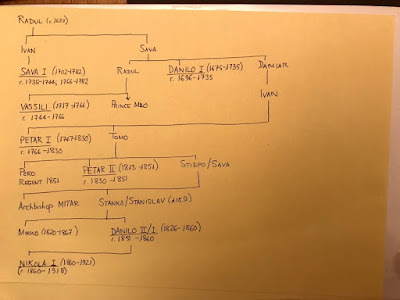 In Italy, Milo’s cousin was Queen Elena, the wife of King Victor Emmanuel III, who became a puppet monarch in the hands of Mussolini. Milo eventually moved to London in 1926, taking a job as a bank cashier and a renting a basement room at No 44 Bedford Square. Three storeys up, and in much higher society, lived the celebrity hostess Lady Ottoline Violet Anne Morrell (1873-1938), whose circle of literary and artistic friends included Aldous Huxley, Siegfried Sassoon, TS Eliot, DH Lawrence, Dora Carrington and Gilbert Spencer. At an exhibition in the Royal Academy of Arts in Piccadilly, Milo met both Doreen Powell, who would become his protector and patron, and Helena Grace Smith from Haworth in Yorkshire, who had returned briefly from the US to London. Milo pursued Helena to the US, and they were married in Santa Barbara, California on 3 September 1927. A year later, their only child, Milena, was born in Los Angeles, and she was named at birth after the last Queen of Montenegro. But Milo abandoned his young family the following year and returned to England. He settled back into London, where he ran an antiques shop near Grosvenor Square with the half-Irish Doreen Powell. They spent many hours together in Claridge’s, the Ritz, the Connaught and the Savoy, and he even reacquainted himself with the flirtatious Wallis Simpson; clearly, he had no intention of returning to Helena and Milena in Santa Barbara. 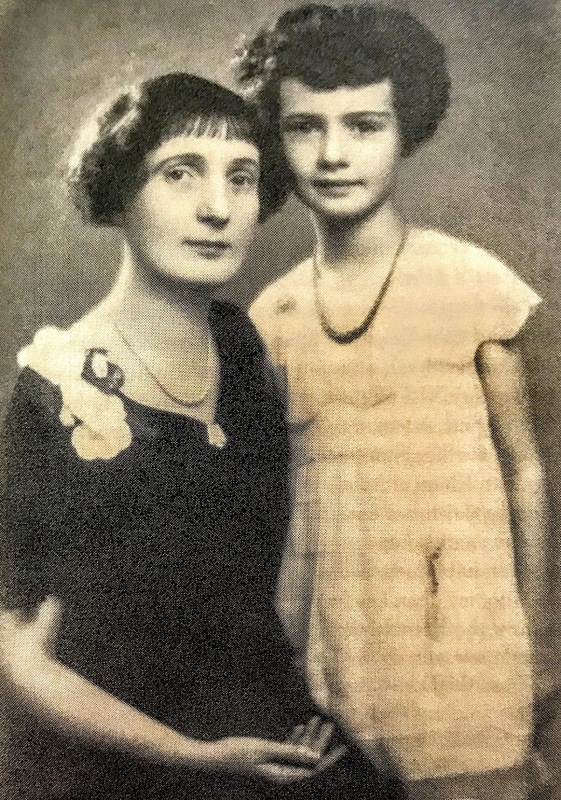 In California, Helena was awarded her PhD at the University of Southern California in 1934; in London, Milo gathered a circle of Montenegrin friends around him, including Major Marko Zekov Popović. Fleet Street feted him, and the headlines proclaimed him as ‘The King Without a Throne.’ But it was his cousins, Prince Danilo (1872-1939), who renounced his claims in 1921 in favour of his nephew Prince Michael (1908-1986), who had inherited the royal claims of their predecessors while living in exile in France. 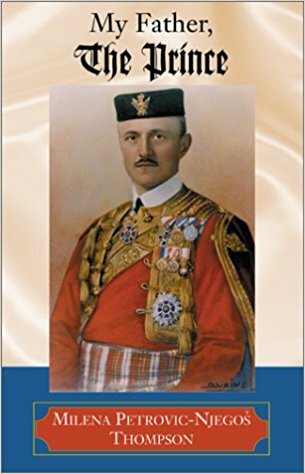 Prince Michael survived arrest and internment on Hitler’s orders for refusing to head up a puppet state in Montenegro. When the Italians invaded Yugoslavia at the beginning of World War II, Mussolini planned on setting up a puppet monarchy in an ‘independent’ Montenegro. When Prince Michael Petrović-Njegoš spurned the offer of the throne, it was then offered to Milo, it is said. But, instead, Milo had chosen to move from London to Dublin. 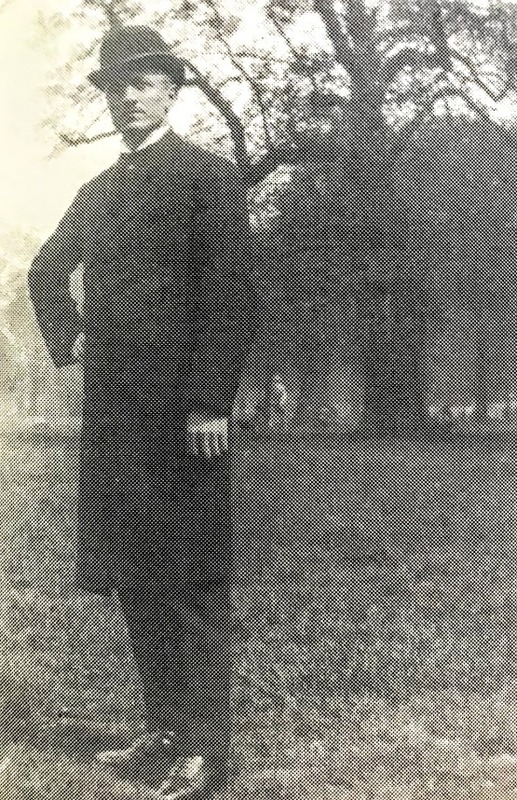 He first took a room in the Shelbourne Hotel on Saint Stephen’s Green, and then bought or rented a two-storey house on Arranmore Road, off Herbert Park in Dublin, while Doreen Powell moved into Harcourt Terrace. 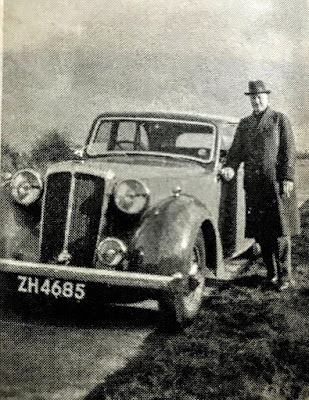 In Dublin, Milo acquired a Daimler, ZH 4685, and he and Doreen set up another antiques shop. Milo’s daughter says it was at one of their dinner parties that he began what became, after Doreen Powell’s death, an affair with a woman named in his biography as Blanche Drummond, 12 years his senior. However, Turtle Bunbury and other genealogists and historians name the woman at the centre of this mid-20th century society scandal and source of gossip as Gladys (née McClintock), wife of Henry Arthur Bruen of Oak Park in Carlow. She was from Rathvinden House, in Leighlinbridge, Co Carlow, and the Bruens had been married for 26 years. 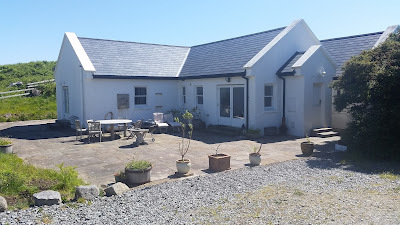 Turtle Bunbury says Gladys and Milo were introduced to each other by Doris Kane Smith and her husband, the solicitor Samuel ‘Sammy’ Roche, who lived at Bennekerry House, on the Carlow-Tullow road. In May 1945, shortly before the end of World War II, Milo invited his 16-year-old daughter in California, Milena, to visit him in Ireland. But her mother was totally opposed to the visit and to any possibility of reconciliation. When Gladys Bruen died in 1969, however, she was buried in the Bruen mausoleum in Carlow and Prince Milo stayed on in the house in Errisbeg, where he became a virtual recluse. Nevertheless, he continued to maintain his friendship with David Allen, who agreed to buy the house and land, allowing the prince to continue living there until he died. For most of his life, Prince Milo was estranged from his only daughter, Milena. But as an adult she renewed her acquaintances with him after 39 years, and she visited him in Ireland several times from 1967 on. 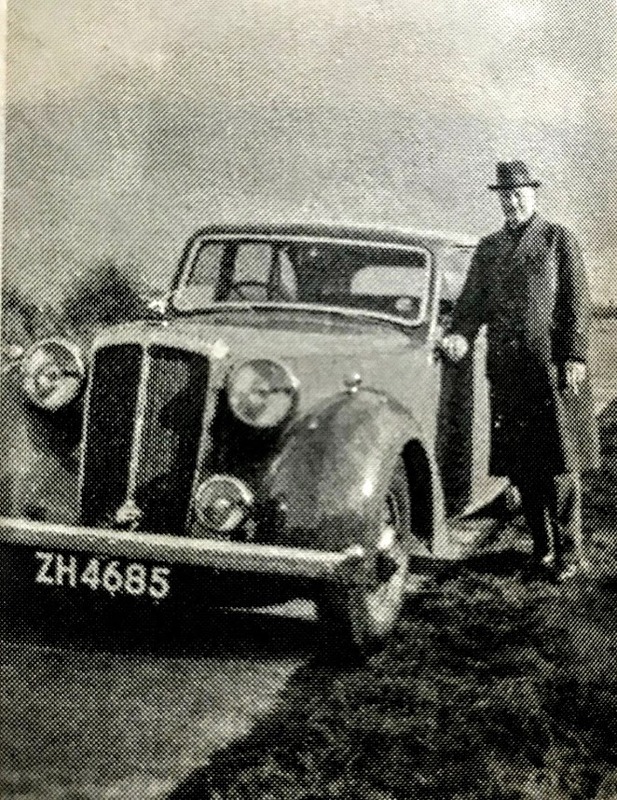 Milo died 40 years ago this year in Barrington’s Hospital, Limerick, on 22 November 1978, and was buried in a small plot he had bought by in the churchyard at Saint Mary’s Cathedral. Only two people were present at his funeral: his daughter Milena, and Reginald Miley, a retired banker living in Ballinteer, Dublin, and one of the few friends he had left in life. The modest and unassuming stone marking his grave is fading and in the rain it is almost impossible to read the wording. Meanwhile, Princess Milena, a retired school principal, continued to live in California with her husband Malcolm Thompson. Like her father, she hoped to see Montenegro become an independent country once again. In 2001, she published her biography of her father, My Father, the Prince. She died in Los Angeles on 14 February 2005. Marko Zekov Popović was the Hereditary Royal Standard Bearer of Montenegro, a member of the Montenegrin National Committee, and the author of Where is Montenegro? The Martyrdom of a Small Nation (1926). When Popović died in London on 26 October 1934, he was cremated, despite Orthodox traditions. His ashes were later brought to Dublin by Milo when he moved to Ireland. 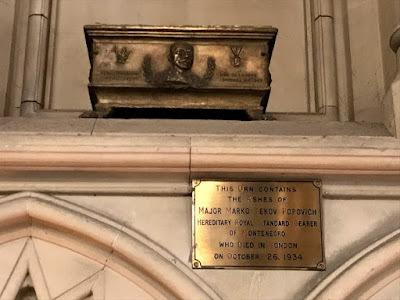 In Dublin, Milo placed these ashes in an ornate casket on a shelf in the south ambulatory in Christ Church Cathedral, with an accompanying plaque.. Meanwhile, what happened to Montenegro? At the end of World War II, the former Kingdom of Yugoslavia was succeeded in 1945 by the Federal People’s, later Socialist Federal Republic of Yugoslavia. After the breakup of Yugoslavia in 1992, Slovenia, Croatia, Bosnia-Herzegovina and the Former Yugoslav Republic of Macedonia formed separate, independent states, while the republics of Serbia and Montenegro together established a federation as the Federal Republic of Yugoslavia, renamed in 2003 as Serbia and Montenegro. A year after Princess Milena died in 2005, an independence referendum was held on 21 May 2006, and Montenegro declared independence from Serbia on 3 June 2006. 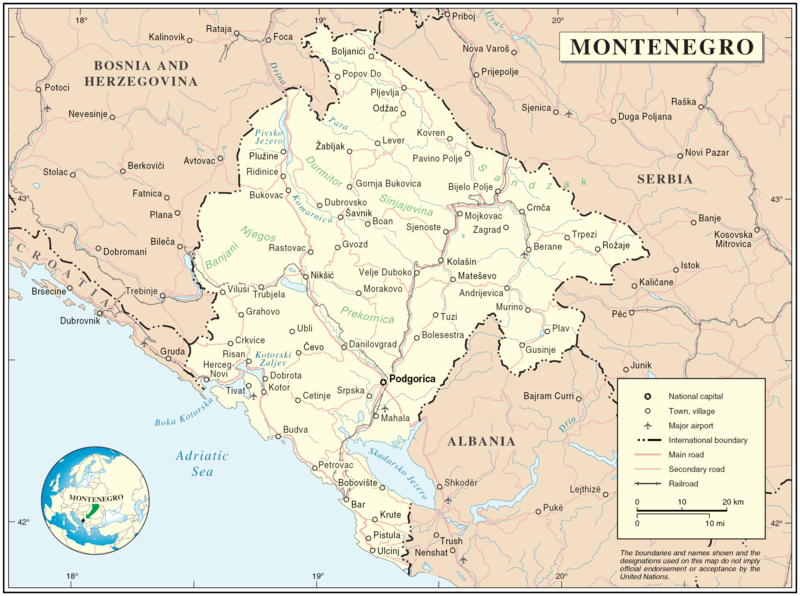 Following an independence referendum 6, Montenegro declared independence on 3 June 2006. It was officially named the Republic of Montenegro until 22 October 2007. When Donald Trump brusquely shoved aside the Prime Minister of Montenegro, Dusko Markovic, at the NATO summit in Brussels last year  it was yet another rude rebuff for the tiny Adriatic state, almost a century after the Western allies had forced it to be subsumed into the greater Kingdom of the Southern Slavs or Yugoslavia. Once again, Russia’s President Putin must have been pleased with Trump’s rude behaviour. Montenegro’s government accuses Russian intelligence of plotting a failed coup in October 2017, while Moscow accuses Markovic and his government of being a mafia clique. As the Econmoist reported last year, the meeting in Brussels was supposed to be a celebratory preparation for Montenegro’s entry into the western alliance last year (5 June 2017). But perhaps the Montenegrins will have the last laugh when Trump receives what may yet be an imminent heave-to before his term of office comes to an end. A royal pretender or a conman? While I was researching the story of Prince Milo of Montenegro and his grave here at Saint Mary’s, newspapers around the world were reporting the arrest of a 57-year-old Italian conman who has been charged with fraud and forgery after posing for years as a member of the Royal Family of Montenegro. Stefan Cernetic, if that is his name, is not a member of any royal or imperial house, and certainly not the head of one. 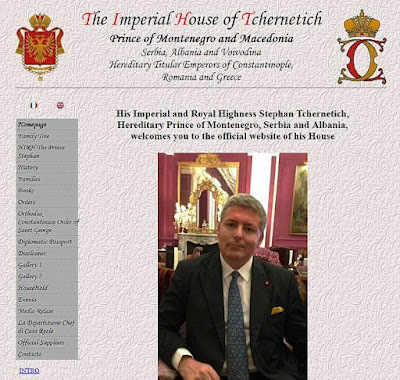 He has no connections to the royal houses of Montenegro, Serbia, Macedonia, Albania or anywhere else, and certainly no connections with family of Limerick’s Prince Milo. The titles and orders he bestows are as bogus as his claims. Montenegro, Serbia and Albania have living pretenders who continue to claim they are the rightful royals in those Balkan nations. Montenegro has not had a royal family since 1918. Nikola II Petrović-Njegoš is the current head of the House of Petrović-Njegoš, making him, in royalist eyes, the true pretender to the throne of Montenegro. 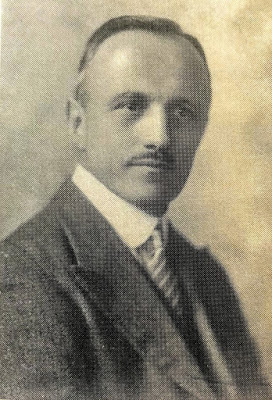 He is a second cousin once removed of Alexander II Karađorđević, the current head of the House of Karađorđević and the man who wants to be recognised as King of Serbia. Someone, I imagine, is wondering whether Prince Milo is turning in his grave in the churchyard here at Saint Mary’s Cathedral, Limerick. Prince Milo of Montenegro … is he turning in his grave? (Revd Canon Professor) Patrick Comerford is Precentor of Saint Mary’s Cathedral, Limerick, and priest-in-charge, the Rathkeale and Kilnaughtin Group of Parishes. This lecture on 20 March 2018 was part of the ‘Lunch Time History Focus’ that is part of the cathedral’s 850th anniversary commemorations. 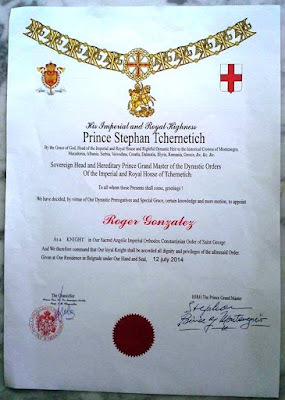 I much enjoyed your article on Montenegro, Prince Milo and "Prince" Stefan, since I have dedicated some time over the years to exposing bogus nobles and royals. I do think your negativism about monarchy a little harsh especially if it is to be justified by supposed association with fascism and the Nazis. After all it was Ireland's own president, Eamonn de Valera, who personally offered his condolences on the death of Hitler to the German ambassador. The IRA, and in particular its successive Chiefs of Staff, Tom Barry, Sean Russell and Stephen Hayes were deeply complicit in assisting German intelligence and would have welcomed a German victory - the IRA was responsible for a bombing in Coventry at the outbreak of the war designed to show how they would help Germany to victory and two leading members spent much of the war in Germany. Of course there were many more Irish who served in the British army against the Germans, but IRA collaboration has never been condemned by its successors. 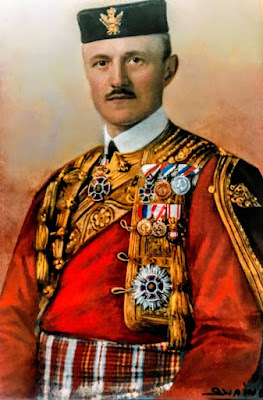 Perhaps you do not know that the last King of Yugoslavia was forced into exile in 1941 and it was the monarchist resistance which fought the Germans so bravely for years (thousands of these brave men and their families were executed by Tito); indeed it was his ancestor who had led Serbia to independence from the Ottoman empire. The replacements for the Balkan monarchies were brutal communist dictatorships - in Romania King Michael, who had personally overthrown the pro-Nazi dictator , was forced out at gun point by the Soviets, not by any popular movement, as was the then 6 year old Bulgarian king. The governments of Greece, Yugoslavia, the Netherlands, Luxembourg and Norway were all able to maintain legitimacy in exile under their sovereigns and prevent the establishment of legal pro-Nazi regimes because the person of the monarch represented the Nation. France, in contrast, a republic since 1870, was quickly subsumed and its constitution manipulated to legalise the Vichy regime. The Kings of Denmark and Belgium remained in their countries but the Nazi occupiers were unable to install legal puppet regimes there as they had in France. King Constantine was overthrown by the Colonels but was ill-advised in remaining in exile during the lead-up to and during the referendum campaign in which the pro-republican temporary government controlled the media. It might have gone very differently otherwise. If Spain had become a republic after Franco it would not have survived as a single state - in 1981 it was the King who prevented a right-wing military coup and the stability he brought insured the extraordinary economic growth since 1978. It takes a major leap of fantasy and athletic mental agility to move from criticising a sceptical approach to monarchy to reminding someone living in Ireland of the horrors and criminality of the IRA, and so I do not need to reply to those comments. But it should be remembered that the Greek monarchy was complicit in the colonels seizing power in an anti-democratic putsch that installed a seven-year-long fascist dictatorship. The Greek people rejected monarchy democratically in a plebiscite after the colonels' regime collapsed, and for a family to continue to claim they are the Greek royal family flies in the face of the democratic choice and will of the people.